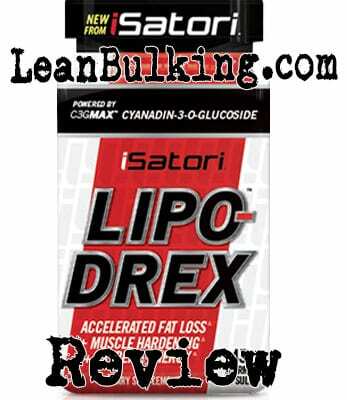 iSatori Lipo-Drex Fat Burner Review | Expert Review | Does It Work? 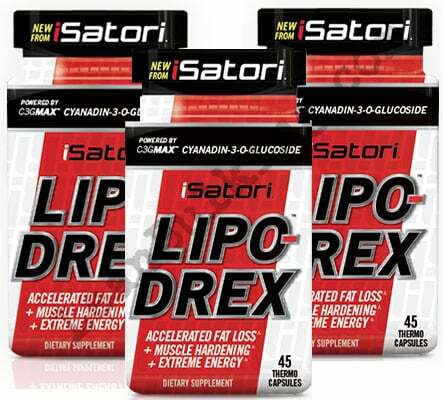 Lipo-Drex is a fat burner supplement by iSatori Inc. It costs $35.99 for 45 capsule, with a serving size of 1 capsule per day - we don't think this serving size will be effective, as it'll only deliver key nutrients for up to 2-3 hours. For this reason, we believe a daily serving size of 3-4 is your best option; this ensures your body is fuelled with essential fat burning ingredients all day. iSatori Inc are a supplements company based in the USA. They were founded in 2001, and have since released a pre-workout (Pre-Gro MAX, which we've also reviewed). Anyway, let's cut to the chase and see how good Lipo-Drex is below. 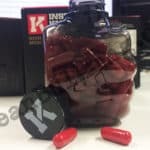 As we've mentioned, 1 capsule servings per day isn't great - the only supplement that this is good for, are pre-workouts. However, this section is about looking at what ingredients are in Lipo-Drex; as a result, this is exactly what we'll give you. 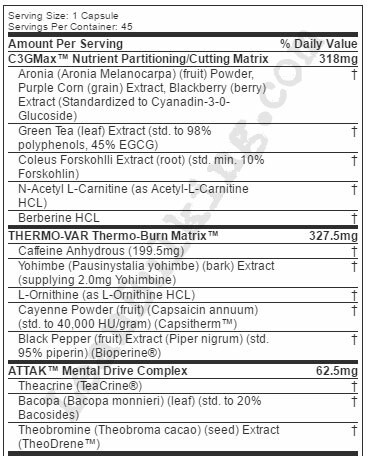 iSatori's fat burner contains 13 main ingredients, which is a big amount to have in a supplement. We prefer products that contain 4-6 ingredients that're proven to work, and have been dosed effectively. Simply put, you'll find that supplements containing more ingredients will have lower dosages (which often means ingredients won't work). These blends are mixtures of numerous ingredients shown to you as 1 quantity (meaning you don't know the exact dosages of each ingredient inside). This increases your risk of side effects, and makes supplements not likely to work. Basically, if companies are hiding the dosages of their ingredients, it's safe to assume they've cut costs by under-dosing them. If they pay to dose their ingredients well, you can be sure they'll be shouting it from the rooftops and advertising it. With this in mind, we'll take you through each ingredient inside Lipo-Drex - so you can see how effective this fat burner really is. These are a type of berry, also known as 'chokeberry'. It's found in North America, and is used to make wine, jam, juice, tea and many other products. However, all you need to know here, is that Aronia hasn't shown to deliver any benefits to help you lose fat - making it an ineffective ingredient in Lipo-Drex. Good choice of ingredient by iSatori here; Green Tea Extract is one of our favorite fat burning ingredients for one reason - it works. Basically, Green Tea Extract has proven to benefit almost every organ in your body - and most importantly, has shown to promote fat loss. However, you need at least 500mg servings for it to work (as it's part of a proprietary blend, there probably isn't an optimal dosage in Lipo-Drex, meaning it won't work). This is a herb believed to boost testosterone levels and promote fat loss - but first we have to point out how funny this ingredient sounds...it sounds similar to foreskin, putting us off slightly at first glance. Not only that, there hasn't been enough research on Coleous Forskohii to prove that it works - meaning it's an unreliable ingredient. Although a minor benefit of L-Carnintine is promoting fat loss, we don't think it's good enough to be added into fat burner supplements - ingredients such as Green Coffee Bean Extract would've been better here. 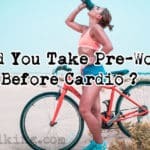 However, L-Carnitine's main benefits are reducing fatigue and improving your mind-muscle-connection in the gym; for this reason, we believe it's more useful in pre-workout supplements. This is a compound that's believed to help treat diabetes; while this is great for diabetics, it's not shown to promote fat loss - meaning it's useless in Lipo-Drex. Caffeine is our favorite stimulant in both fat burners and pre-workouts; in a fat burner, it raises your energy levels while you cut calories, which is very useful when aiming to lose body fat. The only thing you should watch out for is the Caffeine dosage in supplements. With fat burners, we prefer having an overall dosage of 300mg spread throughout the day in 3-4 capsules (less than 100mg per serving). However, as Lipo-Drex's serving size is 1 capsule, you'll be taking the full Caffeine dosage in one hit! 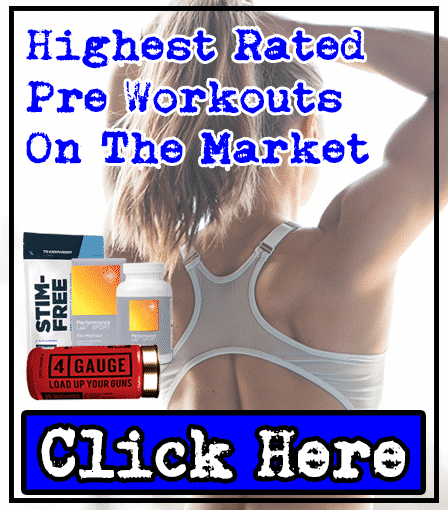 - meaning you'll take on 199mg Caffeine in one capsule, which is more than most pre-workout supplements, and could cause those sensitive, jitters. This is the worst ingredient in Lipo-Drex; it's been banned in numerous countries after causing harmful side effects. For this reason, we can't recommend any supplements containing Yohimbe. Simply put, there are safe and more effective ingredients available in other fat burners - so there's no need to risk your health or safety here. We won't waste your time here - all you need to know, is that L-Ornithine hasn't shown to deliver any benefits to help you lose body fat (meaning it's useless in Lipo-Drex). This chilli pepper is one of our favorite fat burning ingredients for one reason - it works. If you've eaten anything spicy, you know that it makes you sweat; well, this raise in body temperate is exactly what boosts your metabolism and fat burning potential. As a result, your body is encouraged to use more body fat as a fuel source - to regulate it's body temperate. We've had great experiences with this ingredient, and there's been countless studies that proves it works. Although this is very useful in supplements, it's not a key ingredient. Basically, this is the same pepper used to season food - Gordon Ramsay is a big fan of it, always shouting at his chefs to use it on food! Anyway, apart from making food taste better, black pepper extract has shown to improve digestion and absorption rates of supplements. However, as Lipo-Drex contains Yohimbe (which can be very harmful), it's not a good thing here. Theacrine is another stimulant that delivers effects similar to Caffeine - but this isn't a good thing. Simply put, if you've consumed too much coffee before, you know the side effects you experience as a result (jitters and energy crashes); well, this is exactly what happens when a fat burner contains too much stimulants. As Lipo-Drex already contains a high Caffeine dosage per serving, adding Theacrine makes you almost certain to experience these side effects. For this reason, we recommend looking for supplements that only contain Caffeine (in safe dosages), as its only source of stimulant. Bacopa Monnieri is a 'brain-boosting' ingredient that's shown to improve your focus. However, this isn't a key reason why we'd buy a fat burner supplement - simply put, when we buy a fat burner, we want help shredding fat and getting our abs back! 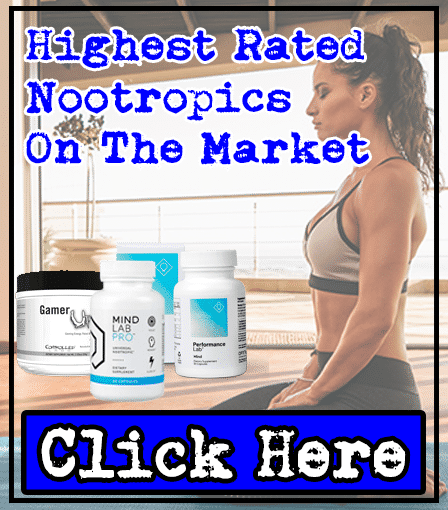 For this reason, Bacopa Monnieri isn't needed in Lipo-Drex (although it's useful in Nootropic supplements, which are designed to improve your cognition). This is the stimulant found in cocoa beans - but as we've mentioned, too many stimulants in one supplement raises your risk of side effects. For this reason, we don't think Theobromine is a good addition to Lipo-Drex here. There are 2 things that can cause side effects in Lipo-Drex - the high amount of stimulants, and Yohimbe. 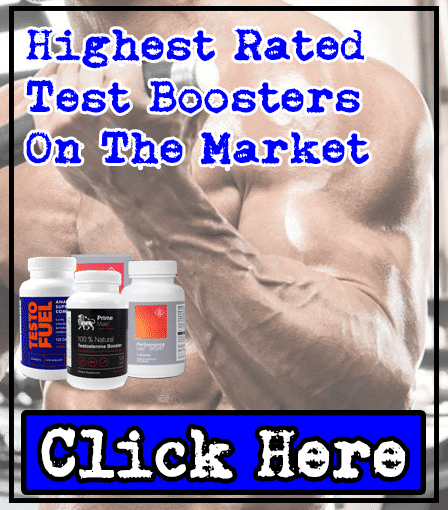 As we've mentioned, too many stimulants in 1 supplement can cause jitters and energy crashes, and Yohimbe has been banned in numerous countries after causing harmful side effects. 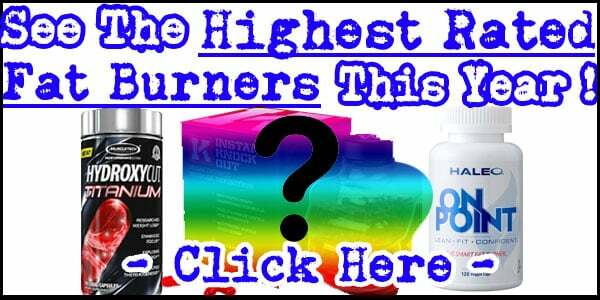 For this reason, these are 2 things you should look out for, on your search for the best fat burner. Remember that the best on the market contain only safe and effective ingredients - so there's no need to suffer from side effects. This is a great example of why we prefer quality over quantity - there are over 12 ingredients inside Lipo-Drex, but most of them are ineffective, and can even cause side effects. Simply put, our favorite supplements on the market only contain 4-6 ingredients, which are all proven to be safe and effective - meaning you'll get the best value for money. For this reason, we can't recommend iSatori's Lipo-Drex fat burner - there are many better products for you to choose from. Lipo-Drex has potentially been linked to numerous side effects as it contains Yohimbe and high amounts of stimulants. Afterall, why would you pay for a supplement to might potentially make you feel like sh*t? (just our honest opinion). 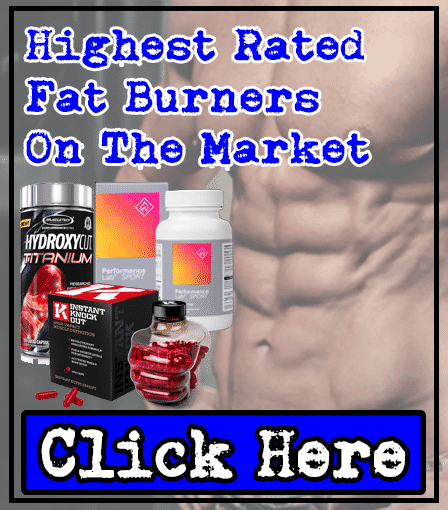 We recommend searching for fat burners that contain safe and effective ingredients proven to work – without causing any side effects, to get the most for your cash.